Israel’s decision to not cooperate with the United Nations Human Rights Committee’s commission appointed to investigate Operation “Protective Edge” is a just and responsible one. The UNHRC discriminates against Israel and its resolutions are political in nature. It is Palestinian diplomatic terrorism, aimed at tying the IDF’s hands. The decision by the Israeli government to boycott the Schabas Commission and forbid its entrance into Israel is a just, right and responsible one. As we recall, the commission was appointed in order to investigate Operation “Protective Edge” by the United Nations Human Rights Committee, sitting in Geneva. For years, the committee’s members included several countries with the world’s worst track records when it came to justice and human rights, including Libya, Cuba, Iran and Saudi Arabia. The UNHRC systematically discriminates against Israel, initiated by and under pressure of the UN’s automatic majority. The UNHRC’s decisions are political and they have nothing at all to do with human rights or investigating the truth. For instance, the mass slaughter of civilians in Syria or Darfur, nor the blatant human rights violations in countries such as Iran, North Korea, Saudi Arabia, Cuba or China have ever been investigated. 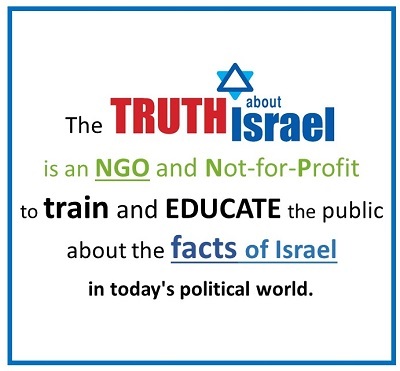 50% of the UNHRC’s resources are devoted to the political bashing and delegitimization of Israel. Immediately following the operation in Gaza, the UNHRC appointed the Schabas commission, with a mandate accusing Israel of war crimes in Gaza. The commission’s makeup, headed by Judge William Schabas, known for his anti-Israeli positions and his outspoken expressions against Israel, was designed to ensure the inquiry’s results and assign blame on Israel. Appointing biased investigative commission against Israel is a pattern that repeats itself at the UN. The last such infamous commission was the Goldstone Commission, founded following Operation “Cast Lead” in 2009. Then also, the commission’s mandate did not include investigating Hamas’ terrorist actions which led to Israel’s operation of self-defense, and accused Israel of war crimes. Israel is a democracy, where the rule of law and the independence of the judicial system reign supreme. The judicial and review systems in Israel are among the best in the world, and are known as such. An independent, sovereign state has never allowed for its judicial institutions to be circumvented and expropriated for use by foreign parties. It is accepted and agreed that countries with judicial law investigate themselves, objectively and transparently. Just as the USA did not allow nor will not allow investigations of their military actions in Iraq and Afghanistan or in Abu-Ghraib prison due to the trust placed in the American judicial system. Israel is doing the same. Israel’s agreeing to this investigative commission would be a vote of no-confidence in the self-judicial system. Aside from defaming Israel, the purpose of committees such as the Goldstone and Schabas commissions is to tear away at Israel’s right to self-defense. 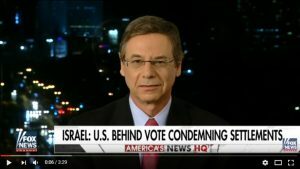 The Palestinians are using diplomatic terror tactics against Israel in various international organizations – and such investigative commissions are a useful tools in the attempt to tie the IDF’s hands and minimize its maneuvering room by diplomatically isolating Israel. Israel, like all UN member states, has the right to self-defense in accordance with the UN Charter. The IDF is a moral army, which is not afraid of self-examination and reaching the required conclusions. Israel made the right decision by not allowing the inquiry’s members to enter Israel, and it is important now to focus a diplomatic effort explaining why the Schabas Commission has no right to exist.